WHEN we think city breaks, the likes of Barcelona, Paris, and Berlin all feature highly. But why not consider somewhere much closer to home? With its striking architecture, bustling streets and amazing atmosphere, I never tire of Edinburgh, Scotland’s cosmopolitan capital. 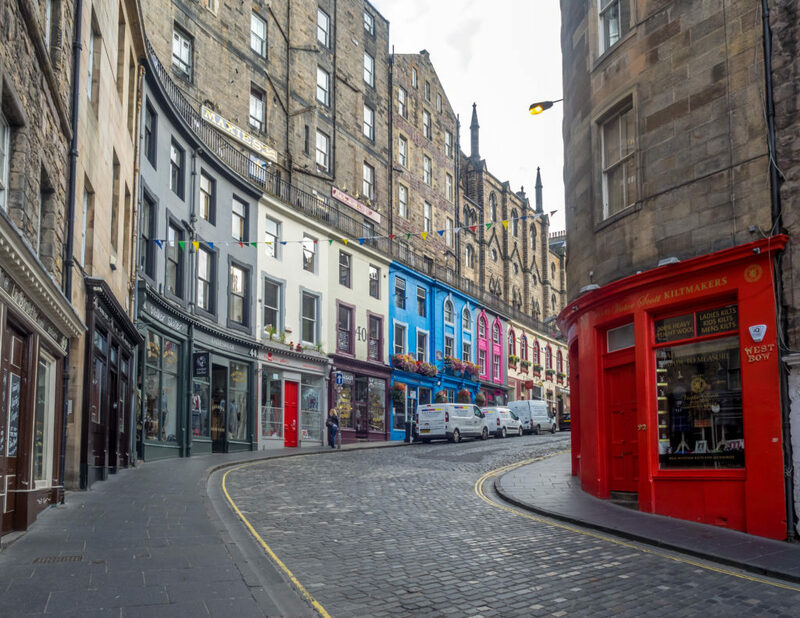 Whether you fancy a spot of retail therapy or are looking to celebrate a special occasion, Edinburgh is the place to go, and your visit can be as busy or as chilled out as you want it to be. Usually I travel west-to-east to watch Scotland’s rugby team play at Murrayfield, but this time I’m visiting for the shops, the food and the sights. On arrival, I pop into the members-only Virgin Lounge on St Andrew Square, just a stone’s throw away from the bus station, for a complimentary cuppa to start off my chilled trip in style. I am staying at the four-star Principal Edinburgh Charlotte Square. My room window looks on to Charlotte Square Gardens – where Edinburgh International Book Festival is staged every August – and I later discover that the city is not only regarded as a UNESCO World Heritage Site, but is also the first World Heritage City of Literature. This magnificent Georgian townhouse has been a hotel since the late 1800s and has hosted esteemed writers and Hollywood actors, I am told. Formerly The Roxburghe, the Principal opened last September and has been renovated from top to bottom. My superior double room is plush with a masculine feel, but what makes it extra special are the personal touches: like a tuck box containing complimentary Scottish-themed items, such as Mackie’s Crisps and Tunnock’s Caramel Wafers; the mini-bottle of fresh milk in the fridge; and mugs to drink tea from, which an artist custom-designed for the hotel. The Principal also boasts a virtual newsagent allowing guests to download a range of newspapers – including, of course, The Sunday Post. My room is comfortable and, as I head out into the city, my shoes are too! 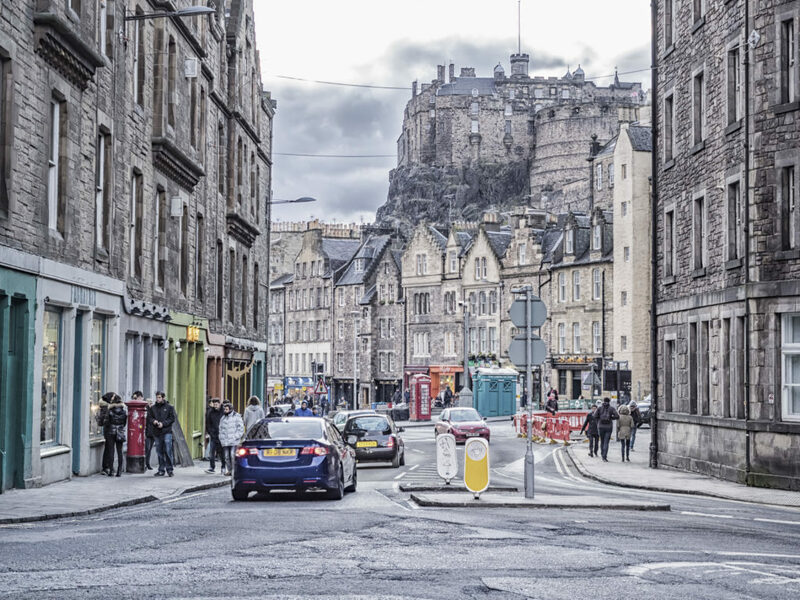 Note to self: always pack comfortable footwear when visiting Auld Reekie, as you will do plenty of walking – heels are best avoided, especially when sauntering down its cobbled streets! 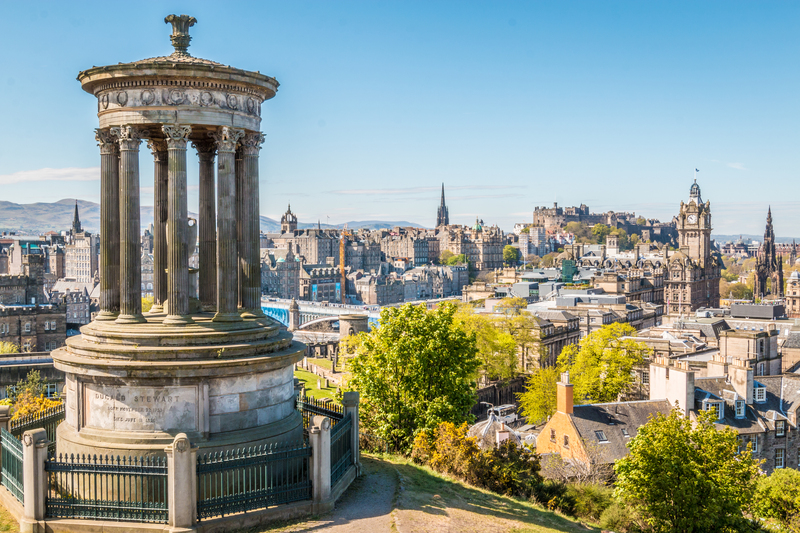 Now, I have heard about the famous view from Calton Hill, and this time I want to experience it for myself, so I take a short tram ride from one end of Princes Street to the other before beginning my ascent. Once at the top, the cityscape, as I expected, proves worth the climb. You can see the Queensferry Crossing, Leith Docks and the Firth of Forth, not to mention Edinburgh Castle on its famous volcanic plug, Castle Rock. After taking in the sights, and some retail therapy, I head back to my luxurious bedroom to chill before dinner. I have a table booked at the newest addition to the booming Edinburgh restaurant scene, BABA, which is on the ground floor of The Principal Charlotte Square and is brought to you by the team behind Glasgow-based Ox & Finch. Since it opened in November, BABA has been serving eastern Mediterranean cuisine from its charcoal grill, the centrepiece of the casual and contemporary restaurant. Modern lighting, bench-style seating, and sharing dishes (from just £2.75 to £12.00) make BABA a great place to dine with friends. The highlight for me is the monkfish served with chickpeas, tomato, saffron, parsley and feta, with a side of baked sweet potato, zhug (chilli and coriander sauce) and crème fraiche. Next morning, I am back downstairs, and eating delicious food again, this time in The Garden. It has a glass-roofed atrium creating an outdoor-indoor feel at the heart of the hotel. Here is where breakfast is served and I unwind in a rattan peacock-style chair before enjoying smoked salmon, poached eggs and Earl Grey. Everywhere you look has a new point of interest, perfect for picture-sharing on social media. There are so many picture-taking opportunities in the capital. None more so than Edinburgh Castle. It really is worth paying the £17 entry (£13.60 for over-60s or £10.20 for children) and venturing inside the grand castle walls, as I emerge not only clued up on Scots history, but feeling rather patriotic as I meander back down the Royal Mile. After spending time in our capital city, I conclude that a trip to Edinburgh is what you make it. Try to see the city through the eyes of a tourist – you will be amazed at the new things you discover! The Principal Edinburgh Charlotte Square has 199 newly-refurbished bedrooms, including 18 suites. The usual price for B&B is £169 per room per night. 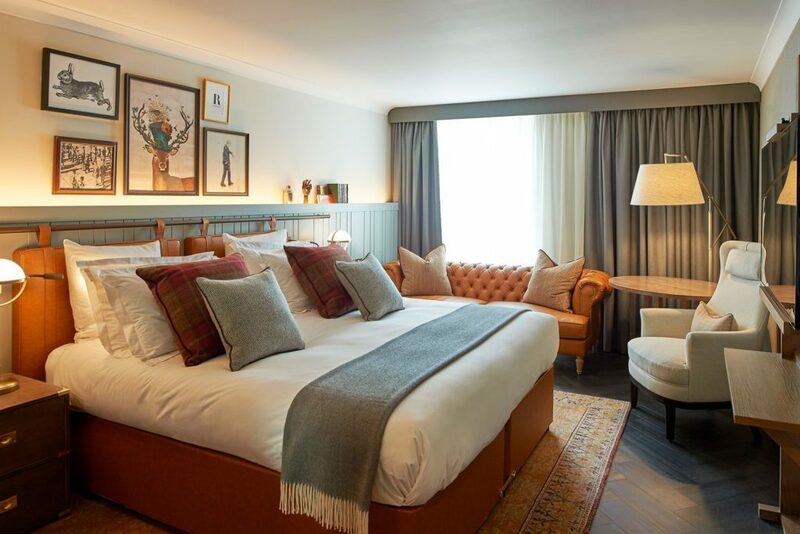 However, a Champagne city break, including an overnight stay in a double or twin room, dinner with a glass of Champagne, and breakfast, is now available for £175 for two people.